Small business is identical enough with small team and limited budget. That is why all small business owners need to be very wisely in choosing the tool for their business. CRM is not is an exception. CRM is a tool to help you maintain a better communication with your customers. Your business might has no million customers like your competitors that have a bigger team. But, if you maintain a good communication with the customers you already have, it’s not impossible you will earn a better outcome. 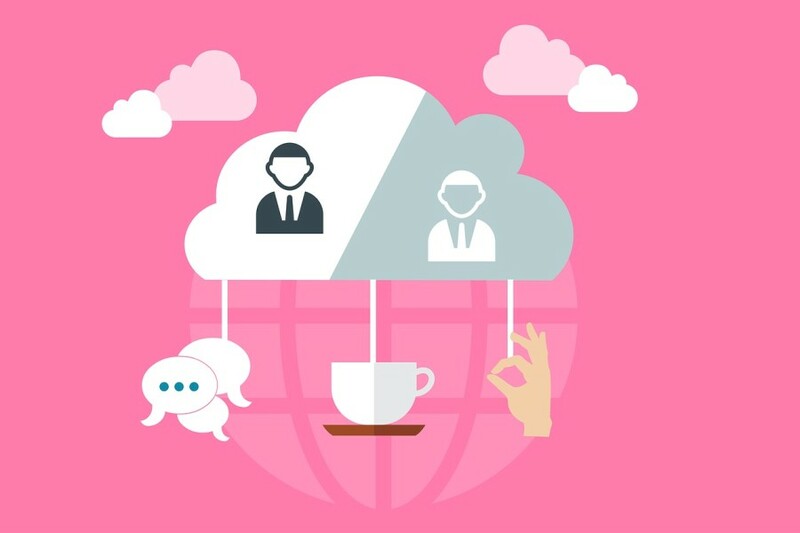 With a CRM software, you can maintain a more personal communication with your customers. There are a bunch of CRM software out there. I am pretty sure that choosing the best suited one can be a bit challenging for small business. I have explored some CRMs on the internet and end up with the list below. All CRMs below are priced under $20 per month (the cheapest plan), which I think are affordable enough for small businesses. Some CRMs even can be used for free. So, here is the list of 7 best CRMs for small business you can try. Note: if you prefer to use a self-hosted CRM, there are also several options of open source CRM software you can install on your server. On the first list of affordable CRM for small business we have Pipedrive. It’s popular enough on this field. The cheapest package offered by this CRM software is $12.50 per month. Pipedrive is especially a suitable CRM if you need a CRM with the emphasis on deals. Pipedrive comes with a Kanban interface where each deal your sales team is currently working is laid out in a Kanban-styled dashboard. You can see the entire sales pipe at one glace. You can quickly view details, move deals to a new stage on your pipeline, or schedule new activities all from the dashboard. Before picking a package offered by Pipedrive, you can try the tool first for free for 14 days. Once you think that this Pipedrive is the CRM your business need you can start picking a package. The highlight features offered by Pipedrive include email integration, activities, pipeline management and sales reporting. HubSpot CRM is one the best CRMs if your business really run in a tight budget. It’s because you can use this CRM for free, forever. More importantly, HubSpot CRM allows you to invite unlimited team members to work together. HubSpot CRM is free, but it comes with plenty enough of features. The core features offered by HubSpot CRM include contact management, email integration (Gmail and Outlook), task management, deals management and company records. For marketers, HubSpot CRM also offers such additional features as lead analytics dashboard, forms and contact activity. Agile CRM is a freemium CRM software. Meaning that you can use it for free. As your business grows bigger, you can upgrade your free account to premium any time you need to. The cheapest plan offered by Agile CRM costs $8.99 per month. The free version of Agile CRM allows you to have contacts from 50,000 companies and send them a personal message to maintain communication. You can also add up to 10 users. Some features offered by Agile CRM are appointment scheduling and drag and drop marketing automation tool. Agile CRM also allows you to install additional features thanks to the plugins support. Agile CRM also offers a demo to allow you give it a try. Batchbook has one thing in common to Pipedrive. It is also a premium CRM software, but still affordable enough for small business since the cheapest package offered by Batchbook costs $19.50 per month per user. This is the tool you need if you are looking to organize the interactions you made on all communication channels, including social media services like Twitter and Facebook. Batchbook has a rich contact profile pages to bring your contacts to life. 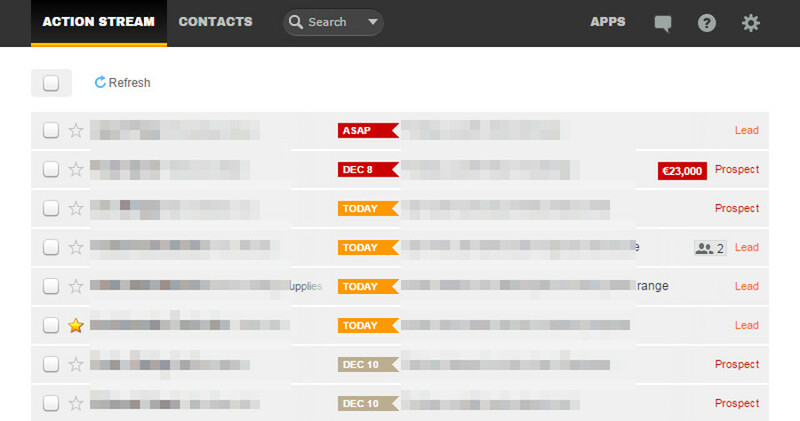 The contact profile pages of Batchbook include tasks and deals, to communication history and your contact’s Twitter feed. You can also customize your contact profiles thanks to the offered unlimited custom field options. 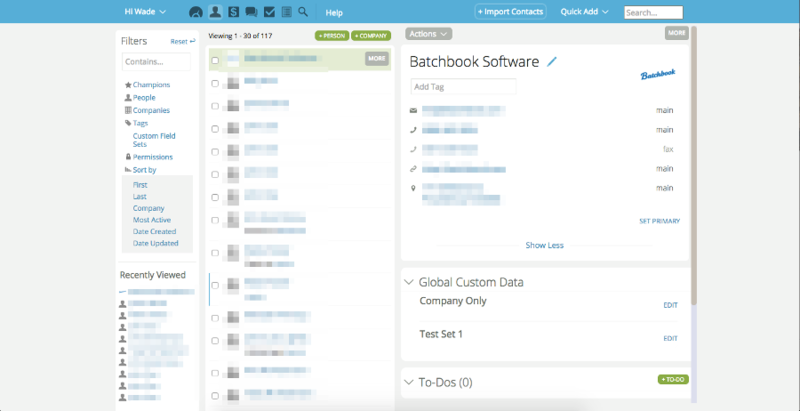 Batchbook also offers a demo so you can use it for free during the trial period. The main purpose of CRM is basically to maintain relationship with the customers you have. In a business, each customer might require different treatment. Capsule CRM gives you a CRM that accounts for the differences between contacts. This tool comes with a filtering options which you can use to make lists as general or specific as you need them to be. Filtering criteria include the basics — job title, organization, date of last contact, and tags — and also let you filter contacts based on custom fields. By doing so (making the filters), you can organize your database in ways that make it easy for every team to access the data they need to do their jobs with max efficiency. Capsule CRM is a freemium CRM software with the free version is limited to 250 contacts and 10MB storage. Some features offered by this CRM include history tracker, document attachment and task manager. OnePageCRM makes it easy for you to set the next steps for every deal and contact you work with — with a similar inbox for your team to see what everyone’s working on at once. 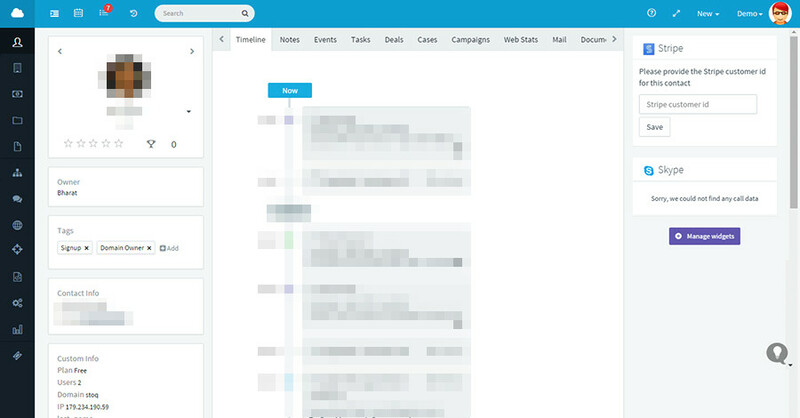 It allows you to manage tasks from within your inbox. Some hightlight features offered by this CRM are sales management, contact management, lead capture, sales forecasting and sales team collaboration. OnePageCRM itself is a premium CRM. It only offers a single package which costs $12 per user per month. There is also free trial offered if you want to give this tool a try. Streak works as a browser extension. You have to be a Gmail user to use this tool since Streak is built for Gmail. 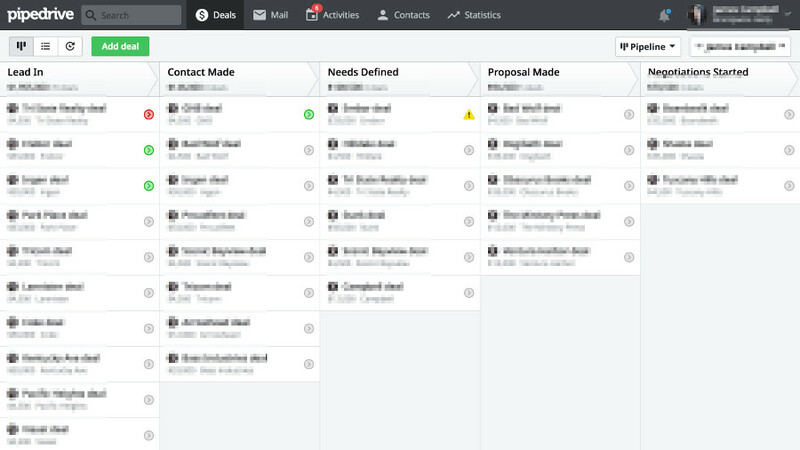 Streak turns your Gmail into a CRM software. 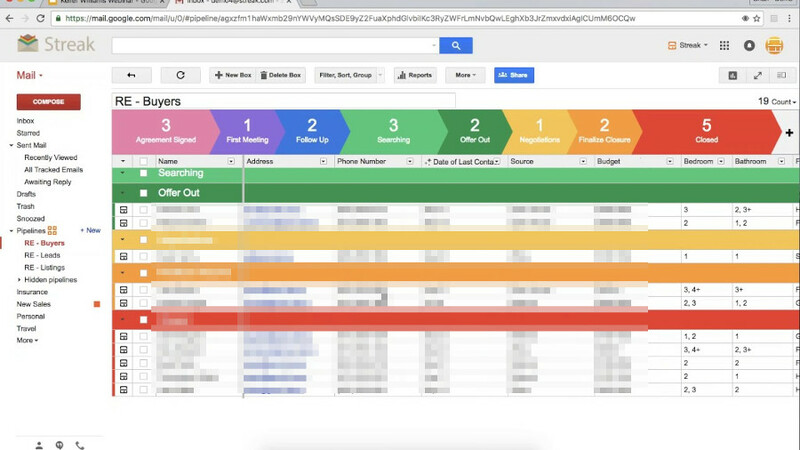 Once you install the browser extension of Streak, you will find the Pipeline view near the top of your Gmail folder list. 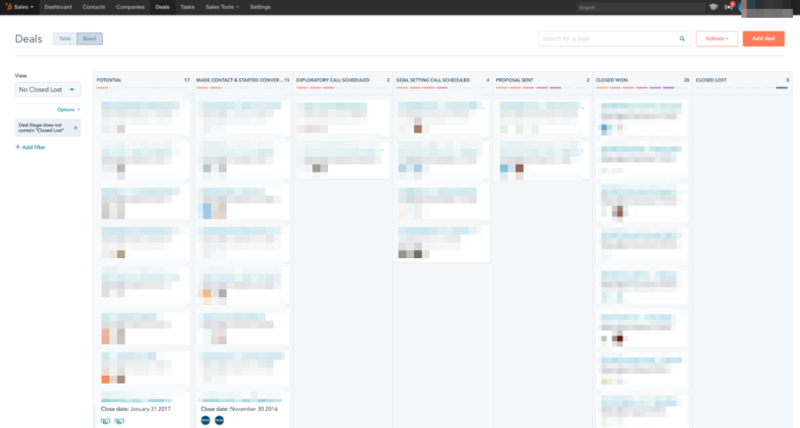 It’s a process manager with customizable stages for your communications workflow. You can sort emails into “boxes” based on company or contact with the Streak icon you are going to see next to every email in your inbox. Streak itself is a freemium CRM. The free version of this CRM comes with basic CRM features.